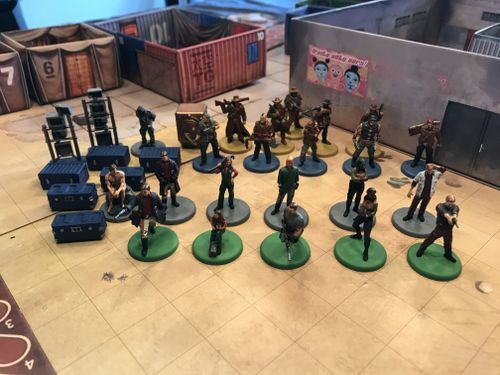 We played for the first time this weekend and I painted up the crew after the game. In my case, I thought they are easy to paint and come out looking good with moderate effort. I used Army Painter brand acrylics and Strong Tone to finish them off. I am going to paint the rest this evening. Do you need more card ideas for the D&D Adventure System games? Excellent work. I like the backdrop too, complete with Fruity Oaty Bar advert.